Deliveries of 16 educational and fighting fighters Yak-130 to Bangladesh will begin on September 17, the general director of Rostekh Group Sergey Chemezov told to journalists. "Shipment of the first Yak-130 party to Bangladesh on September 17 will begin: six units from 16, provided by the contract will be put. Just in enterprise shops we saw planes preparing for shipment", – S. Chemezov told during visit of Irkutsk aircraft factory together with the assistant to the president of the Russian Federation Igor Levitin and врио the governor of the Irkutsk region Sergey Eroshchenko. 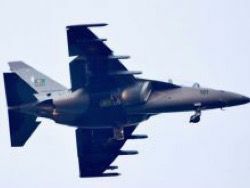 Earlier it was reported that Russia signed the contract for delivery in Bangladesh 16 educational warplanes of Yak-130. Before the Irkut corporation put 16 Yak-130 planes for the Air Force of Algeria. The double jet educational warplane of new generation Yak-130 is developed by the Yakovlev Design Bureau which is a part of Irkut corporation. It is intended for training and combat training of flight structure, and also fighting application in simple and difficult meteoconditions, on the air and land targets.